Hanoi(VNA) - As the Tet (Lunar New Year) holiday draws closer, the Vietnamese aviation industry is scrambling to meet peak demand by increasing the number of flights. According to the Civil Aviation Administration of Vietnam (CAAV), at the end of January, total flights were up by 9.8 percent over the same period last year. In particular, domestic supply reached 3.7 million seats, while international supply was 1.4 million from the beginning of the year to the end of January. Regardless, the CAAV recorded that about 40 percent of seats were still unsold, especially through online booking. This means up to 49 percent of seats on domestic flights and 29 percent on international flights are yet to be taken, despite the seemingly heightened demand. Responding to the CAAV, Trinh Ngoc Thanh, Deputy General Director of Vietnam Airlines, said that although the 2018 Tet season would go from January 30 to March 4, the number of passengers was mainly concentrated in the two weeks before and after Lunar New Year. Thanh said in late January that the 2018 holiday aviation traffic forecast showed an increase of 20 percent from 2017. "Vietnam Airlines wants customers to buy their tickets at a relatively cheap price, but they must accept the peak-day deviation, since the closer to Tết, the less likely these affordable seats will remain on sale. And of course, the sooner a customer makes his purchase, the cheaper the price," said Thanh. 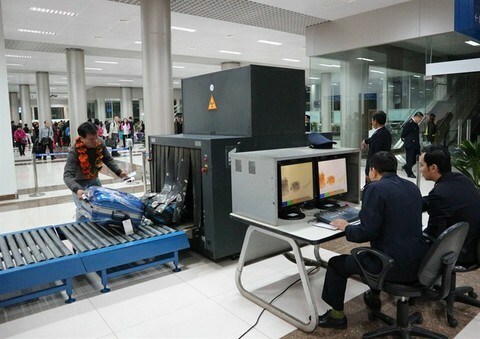 In the same vein, Vo Huy Cuong, CAAV’s Deputy Director, said that Vietnamese airlines had been strictly adhering to regulations regarding domestic airfares. As such, over-the-counter tickets would be available at airports until the last minute and therefore subject to availability. Cuong also said that fraudulent practices in ticket selling had been occurring for a few years, through the abuse of policies by different aviation firms. To avoid this, he advised passengers to research information on flights and tickets from airline agencies and websites. To protect their rights, customers also needed to check the ticket code by calling the airline directly and collect invoices when buying tickets. Cuong warned customers to be wary of online offers that were too cheap to be true. According to the CAAV, since late 2017, despite increasing fuel prices and demand, domestic airlines are committed to selling tickets within the declared price range, not exceeding the ceiling price prescribed.